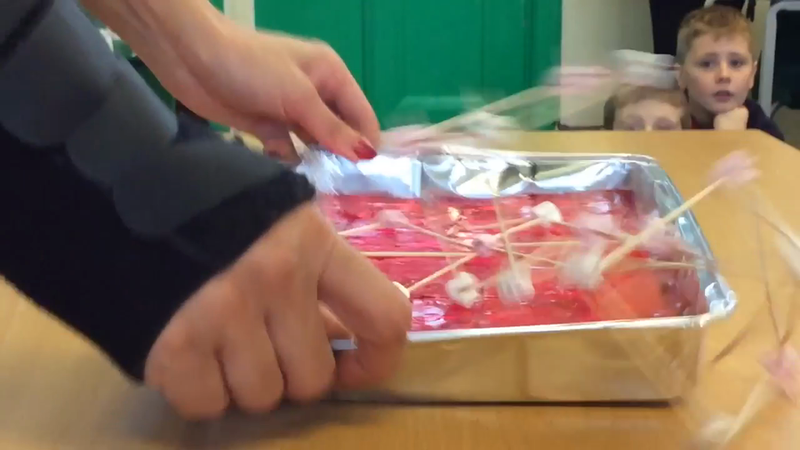 This last two weeks we have had a fun immersive time relating to all things to do with earthquakes and volcanoes. 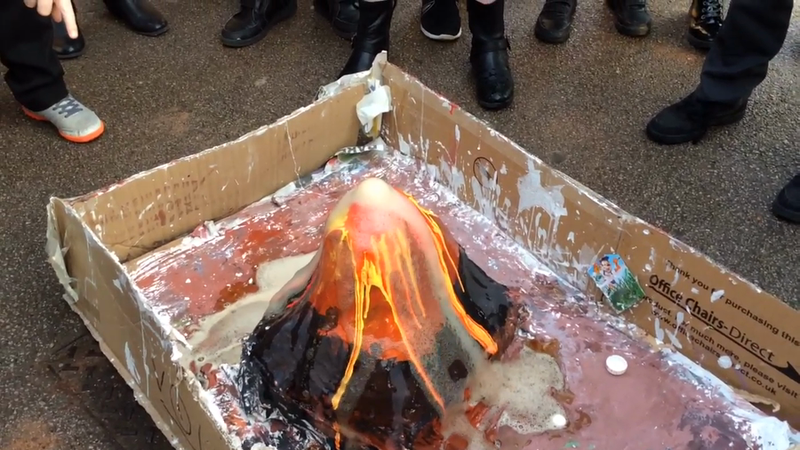 We started by buildIng our own volcanoes looking at how they are formed and following this information to create ours. 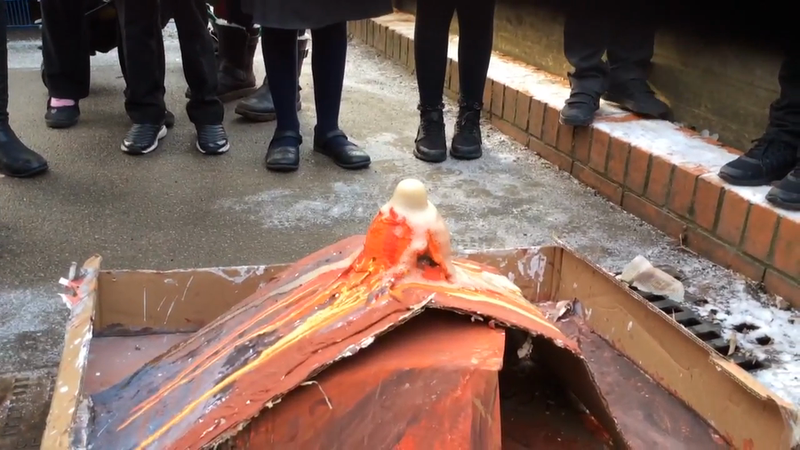 We layered mod roc to form a volcano shape around a bottle of coke. 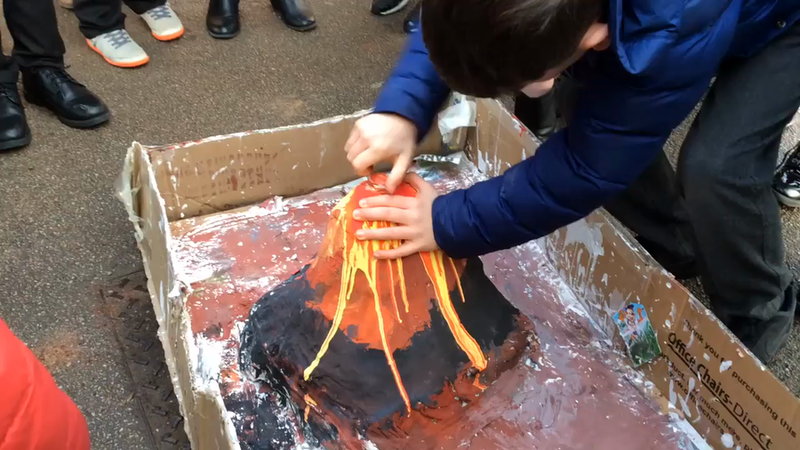 Once this had dried we painted our volcanoes and looked at videos of volcanoes from the world to help with our designs. 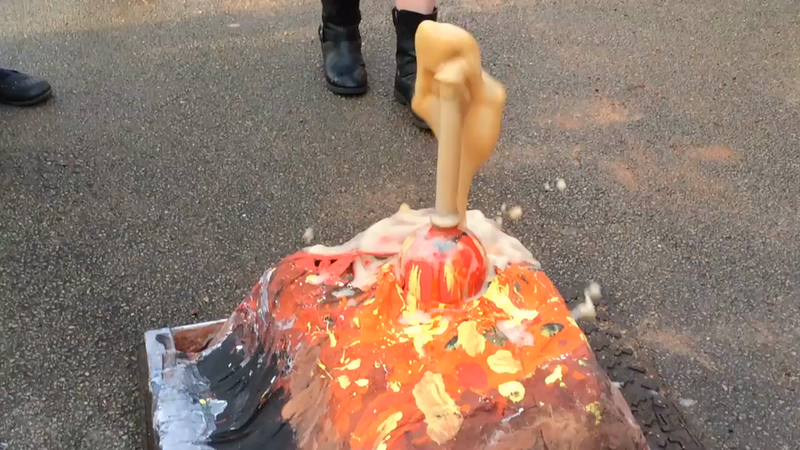 This led us up to our parent celebration day where we aimed to explode our volcanoes. Take a look below to see how successful we were. 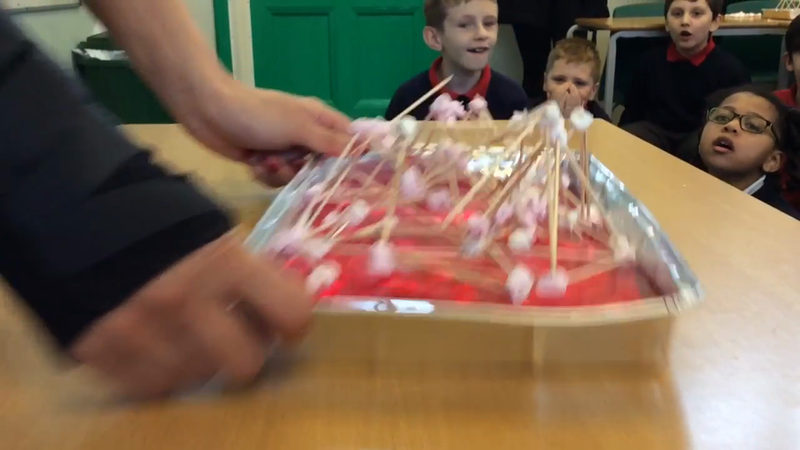 Then we escaped to the warmth of the classroom to learn about how earthquakes happen and how to build a structure to withstand an earthquake as high up the Mercalli Scale as possible. 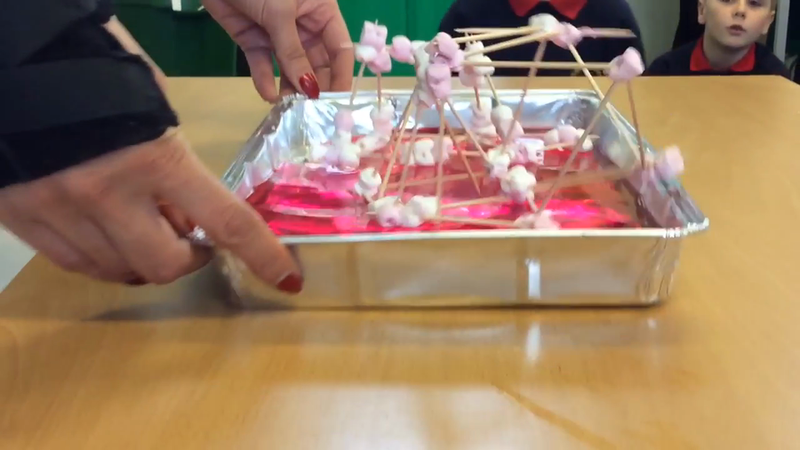 We used jelly as our ground and marshmallows with cocktails sticks to create our structures. 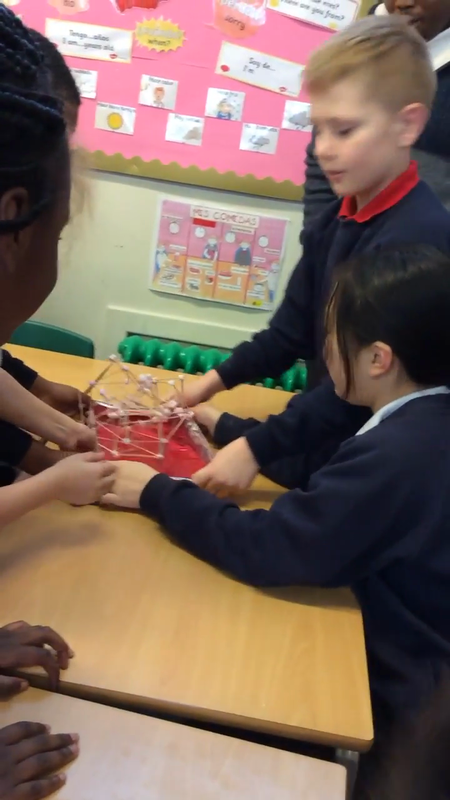 A competitive edge creeped in and soon we were designing and evaluating our structures to create the strongest ones we could. All structures were successful up to a Mercalli rating of 6 which was very impressive. The winning design went up to a solid 10. See pictures below. We really enjoyed having the parents with us to enjoy our learning together. 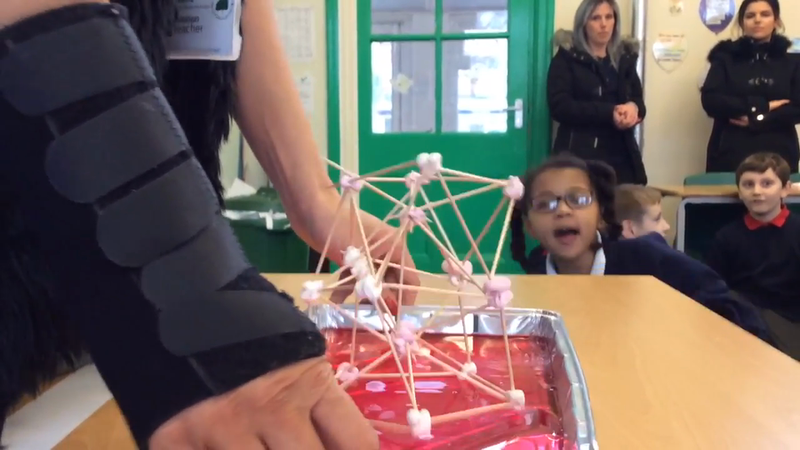 We were thrilled to see that they enjoyed learning with us too with feedback such as “amazing session it was great to see all the children learning together” and “ I really enjoyed myself it was an interesting lesson”. A big thank you to all the participants from all in 4M. LKS2 were thrilled to have been visited by a Geologist this week who enthused us with his collection of rocks and videos from when he had visited real-life active volcanoes. We talked about all the different types of rocks and handled some from the volcanoes he had visited. We held fossils from back in the dinosaur age. 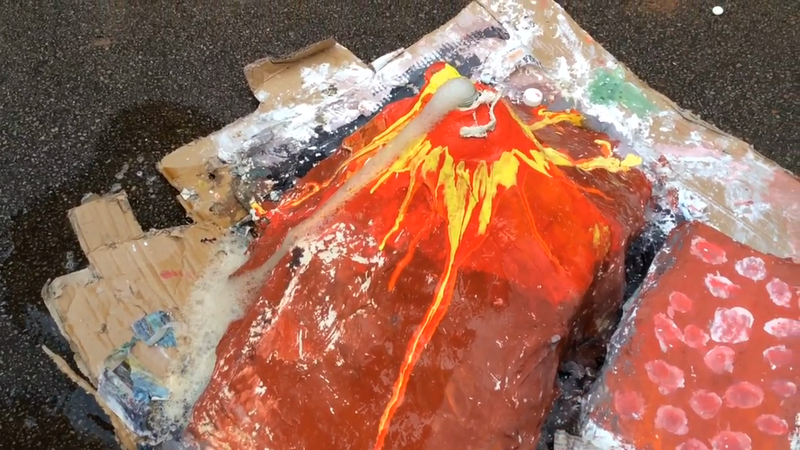 We had a lot of fun exploding our very own volcanoes! !